The River Buriganga flows through Dhaka, the capital of Bangladesh. I have visited the banks of Buriganga hundreds of times in the past 20 years. It has always been busy, vibrant and full of life. Because historically it has been a hub for commercial activities, the river has never been very clean. Yet the level of environmental degradation it has been subjected to in recent years is astonishing. Due to intense human and industrial activity, the river has become so polluted that the water has turned pitch black and has a glue-like consistency. Much of Buriganga is biologically dead. 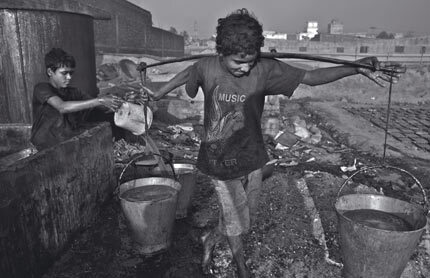 Thousands of people who live on the bank of the river continue to use this highly contaminated water to wash, bathe and even to drink. 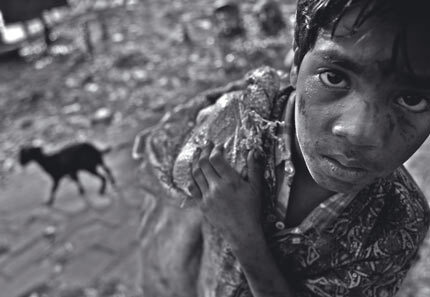 Although Bangladesh is a poor country, there are huge profits to be made for rich industrialists. Labour is cheap and most regulations and environmental restrictions are easily dodged. Tons of human and industrial waste, including pesticides and fertilizers, make their way into rivers untreated, destroying the fragile environment and slowly poisoning people and aquatic life. Manufacturers in developing countries, as well as producers in the West, say that because rich countries have been industrializing and polluting for centuries, poor countries should now be allowed to pollute the environment for the sake of development. But to allow industries to pollute the world just because they are based in developing countries is wrong. Bangladesh is just one example of what is already happening in India and China on a much larger scale. Developing countries are responsible for about a third of the world's greenhouse-gas emissions, but experts predict that if the pace of industrial growth continues, they will emit almost three times more than their developed counterparts by 2100. Buriganga is being raped and she is bleeding. The river is an important resource for people who depend on it, as well as a valuable asset for all humanity. We cannot afford to lose it. *Click* the images below to enlarge them, and then click the next button in the pop-up window to advance to the next image. 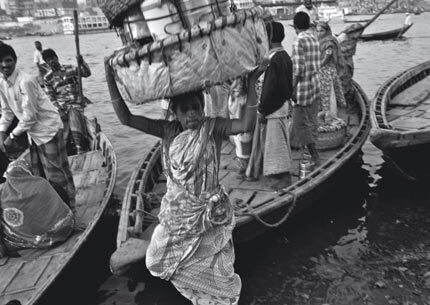 (Above) Carrying a large basket full of aluminium lunch containers called tiffins, a woman disembarks from a passenger boat over the river. She delivers dozens of tiffins across the river to office, garment and tannery workers in Dhaka city. 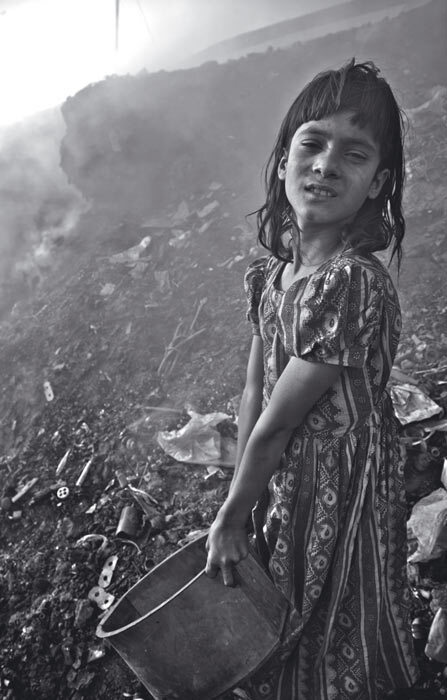 (Above) A young girl sits on a broken wall inside an informal factory where workers process waste leather to make glue. 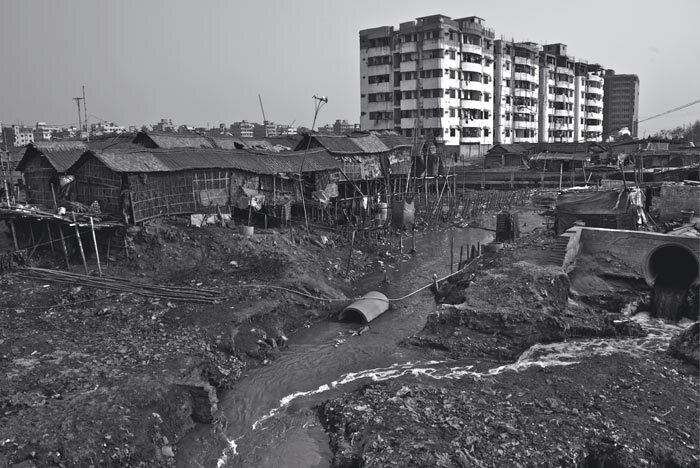 Leather tanneries are amongst the worst polluters in Bangladesh’s urban areas. 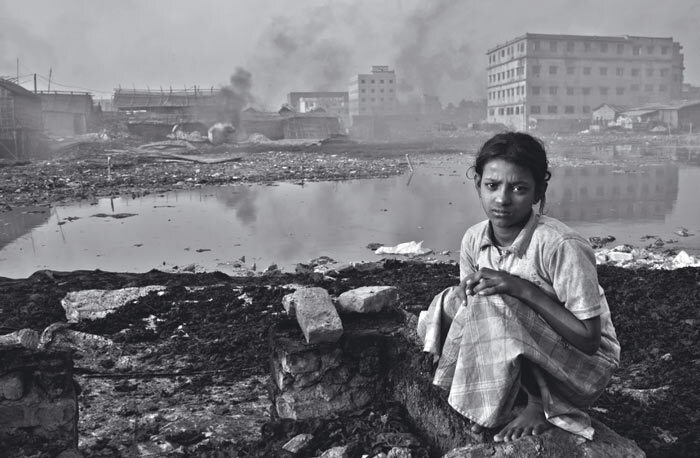 Hazaribagh, Dhaka’s biggest leather processing industrial zone, is in the middle of one of the most densely populated residential districts. Its industries freely dump untreated toxic waste directly into the low-lying area, river and natural canals. (Above) Untreated sewage water is released into the Buriganga. 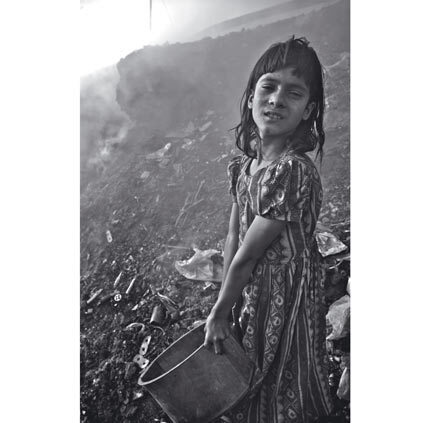 Dhaka’s 12.6 million people produce about 3,200 tons of solid waste daily. 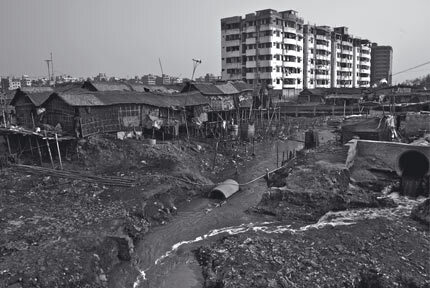 According to the Environment Department, along with the sewage from Dhaka, up to 40,000 tons of untreated tannery waste is released directly into the river every day. (Above) Nawab Ali, aged 12, carries buckets of glue manufactured from waste leather and hides, while 14-year-old Jabar fills other buckets from inside a glue tank. Nawab Ali used to work in a dry fish-processing factory, but quit because of poor pay and the bad smell. This job is not much better: he gets 60 taka (about 85 cents) for working a 13-hour day. (Above) A woman sits with her child on the threshold of her shack in a bamboo slum. Her home is built directly over a pool of chemical waste from a nearby tannery plant which processes animal hide to make leather. The only way she and her children can get out of their house is by wading through the toxic water.